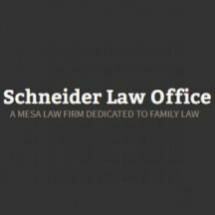 If you live in or around Mesa, Arizona, and you are facing divorce or have some other serious family law issue you need to address, you can turn to the legal professionals at the Schneider Law Office for the quality, cost-effective representation and support you deserve. Experienced family law attorney Gary Schneider established his law firm with a mission to deliver unmatched counsel to the families of Maricopa County and all of the surrounding regions who seek the most favorable outcome possible for their issues involving child custody and support, parenting time, alimony, property division, fathers' rights and other related matters. In addition, his law firm also offers solid prenuptial agreements as well as effective guardianships and conservatorships aimed at protecting the rights and interests of minor children as well as adults incapacitated by mental or physical illnesses. Backed by his years of legal experience and diverse background, Mr. Schneider possesses the skills and resources necessary to handle your needs regardless of how complex or challenging your situation. Passionate about the law, Mr. Schneider promises to work directly with you to provide the sound legal advice you need to make the best informed decisions about the matters that affect your case, and he will remain by your side throughout all legal proceedings to ensure the best odds of helping you achieve the positive results you expect. To begin receiving the best legal counsel possible for your serious and sensitive legal matter from a local attorney you can trust, you can contact the Schneider Law Office by calling their office or by visiting their website to schedule an appointment for a free initial consultation.